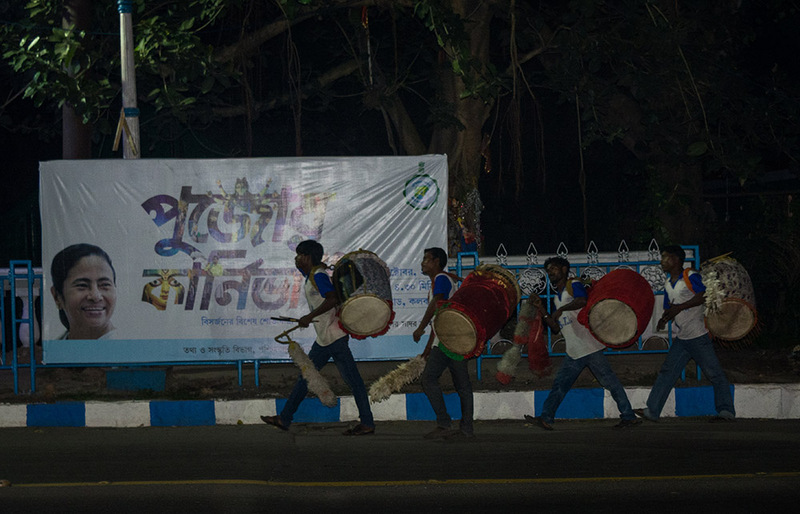 Durga Puja, the grand festival of West Bengal is incomplete without the rhythm of Dhak. 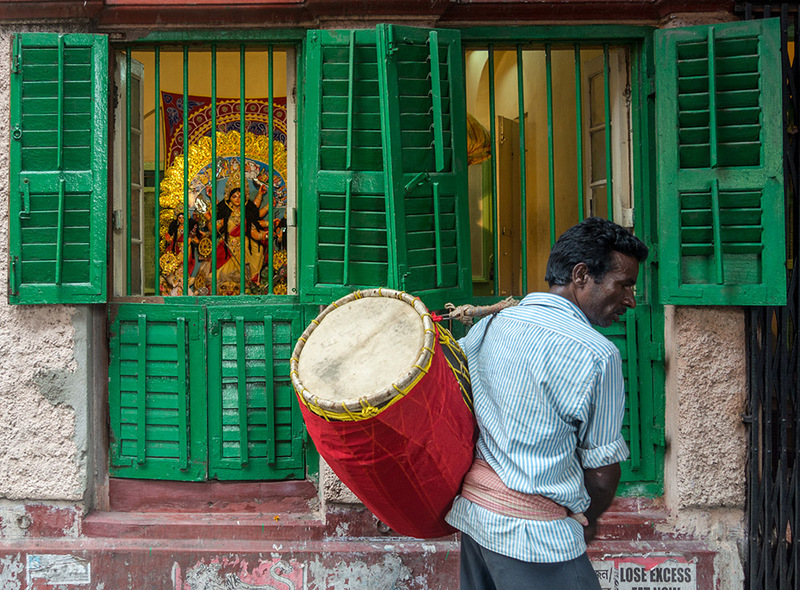 For every Bengali out there, waking up to the sounds of the dhak playing is one of the biggest symbols of Durga Puja. 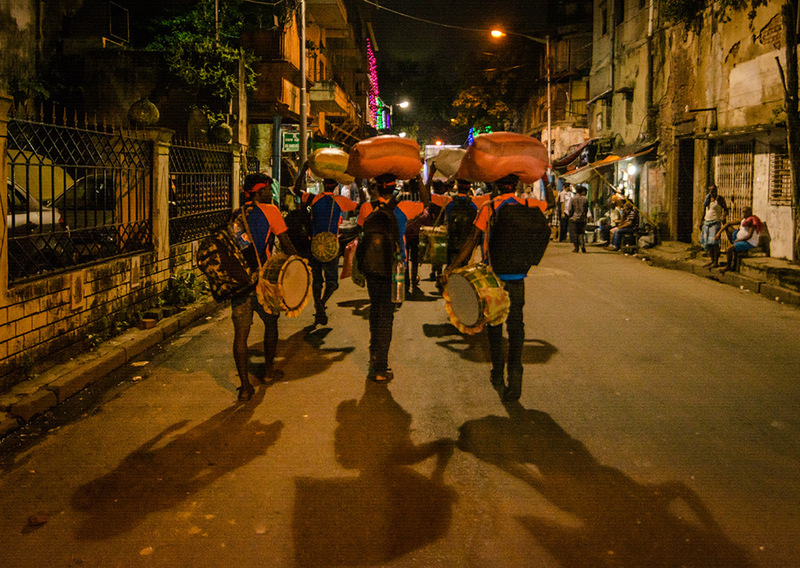 Dhak is a musical instrument like large drum that men hang around their shoulder and play with two thin sticks to infuse the frenzied rhythm into listeners. Durga Puja does not assume the festive aura without the maddening beats of the dhak,.Those enchanting beats are enough to conjure up the sights and smells of Durga Puja. 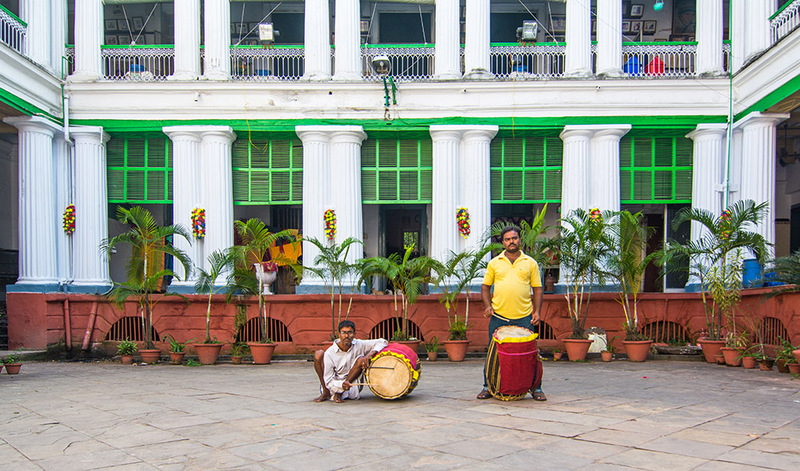 Dhakis are traditional drummers who play the dhak during Hindu festivals, primarily in Bengal. The nuances of playing the instrument are handed down from generation to generation, but the old rhythms are undergoing changes. The rhythm is no longer as slow as in earlier generations. 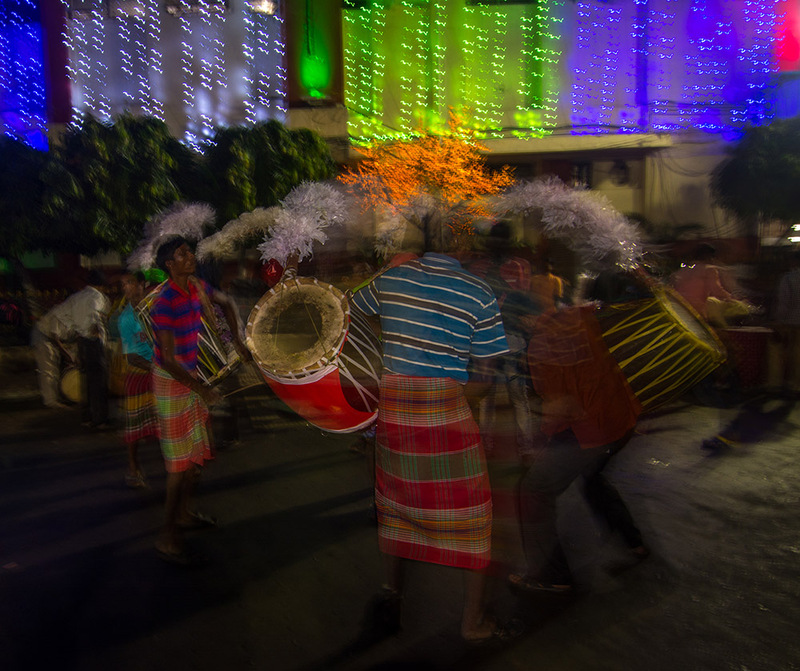 Nowadays, dhakis opt for faster rhythms. 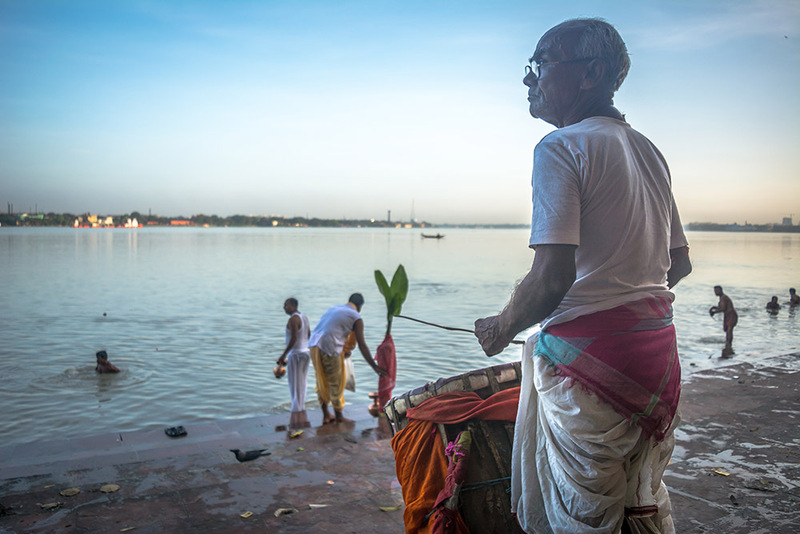 Earlier, different beats were used for specific aspects of Durga Puja, as for example chokhhu daan (eye presentation), patha bali (goat sacrifice), bisarjan (immersion ceremony), sandhya arati (evening offerings), sandhipuja (worshiping at the conjunction of two phases), and so on. 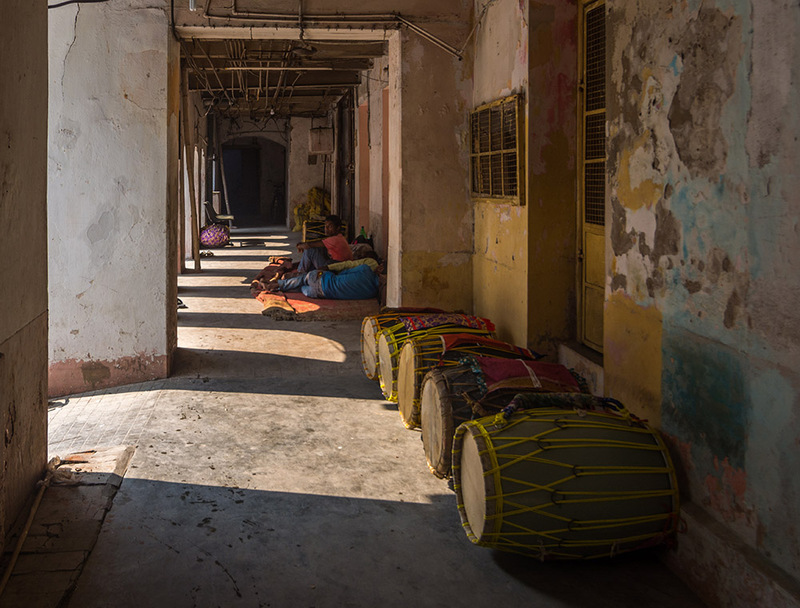 Dhakis who cannot learn within the family typically take training under a guru to become a good dhaki, as is the case for most musical instruments. In recent years women dhakis are also sharing the responsibility of playing Dhak, which used to be considered as men’s profession. 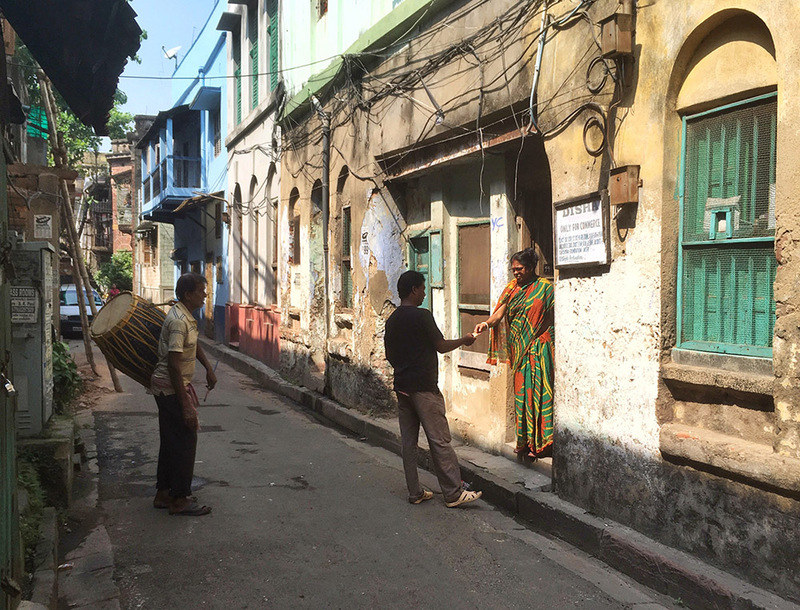 Durga Puja is the time for the dhakis to earn some money. 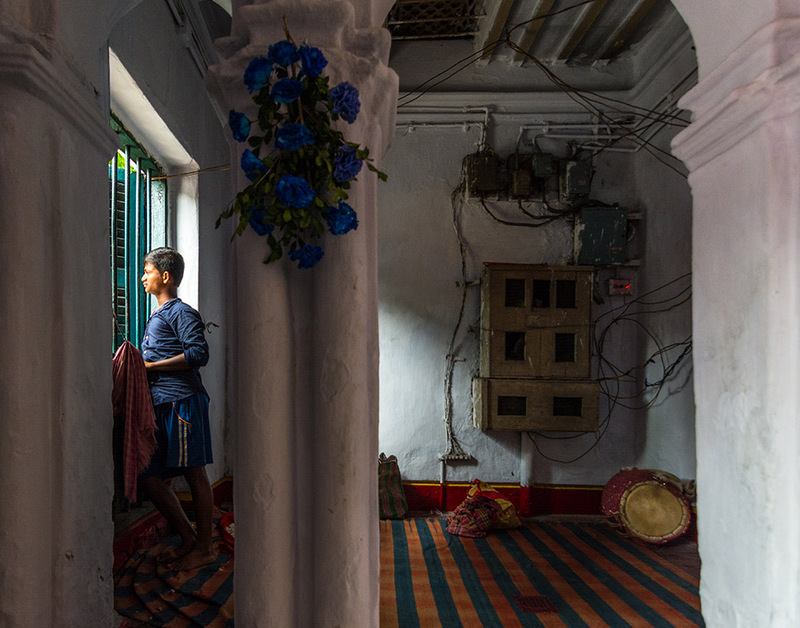 They are generally landless farmers and play the dhak in their villages when they have time to spare. 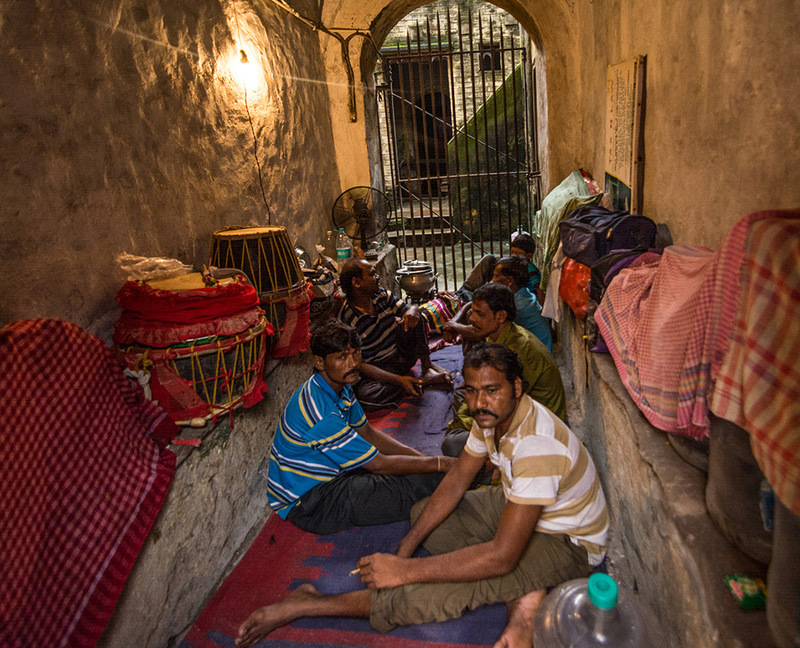 The seasonal demand and the limited earnings often force the dhaki to work as farm labour, goldsmith or even rickshaw puller to make ends meet. 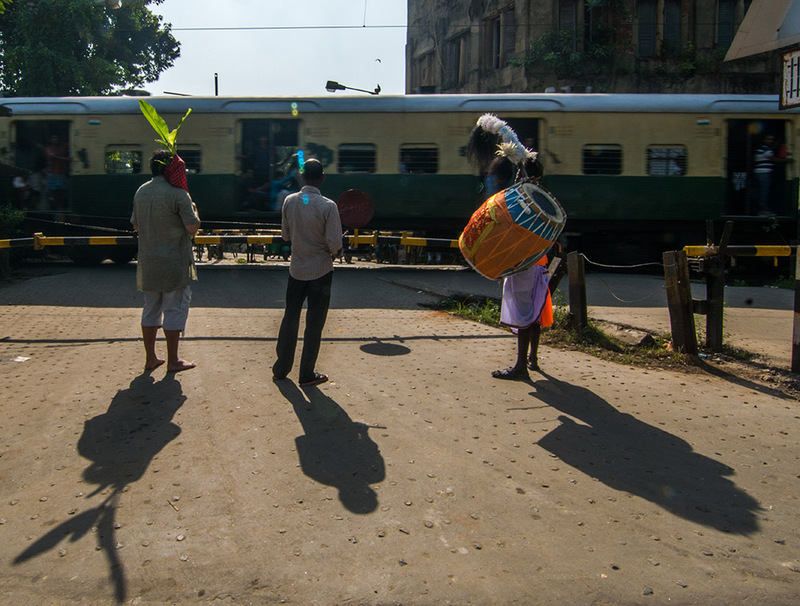 Each year they arrives in Kolkata before the start of durga puja. 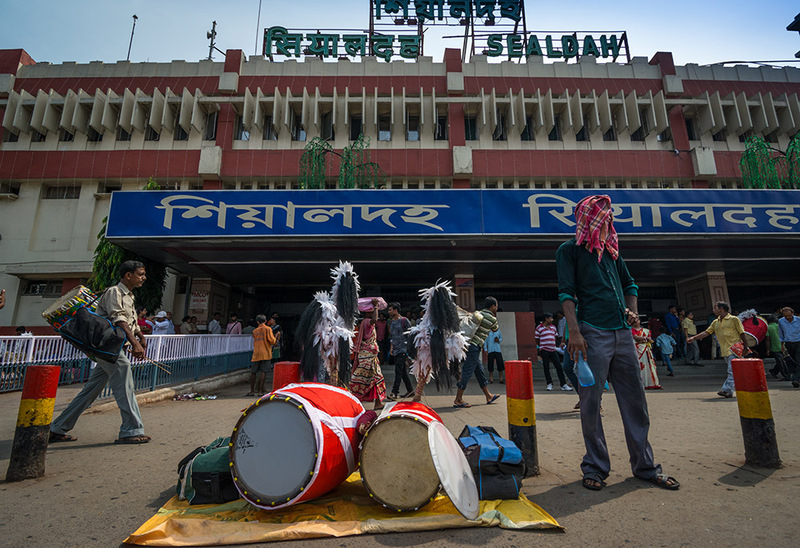 During Panchami and Sasthi.They can be found in large number near Sealdah and Howrah station playing their drums to attract their customers. They can be found gathered at large number at Sovabazar near Kumartuli. 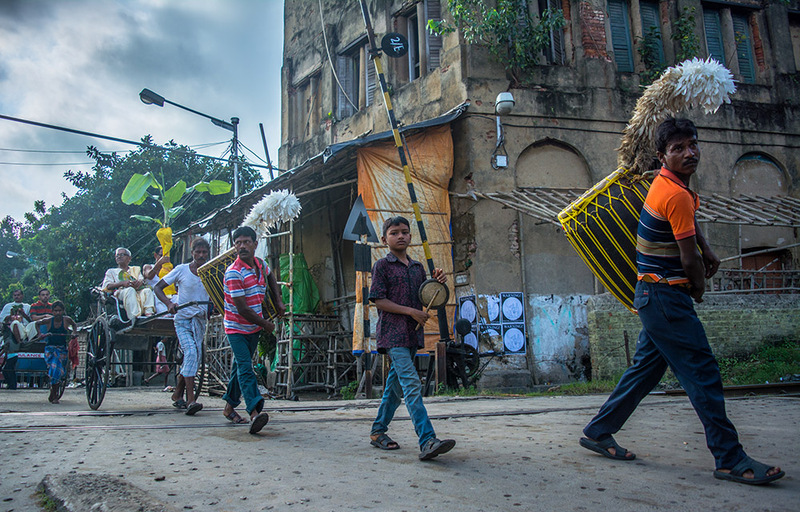 Bengali communities outside Bengal get dhakis from Bengal for Durga Puja. In Delhi around 400 Durga Pujas are organised. Many of the older and established pujas have their fixed dhakis, but others engage free-lancers who arrive on their own in Delhi just before the pujas. Some 100 dhakis travel to Delhi from Malda and Medinipur. 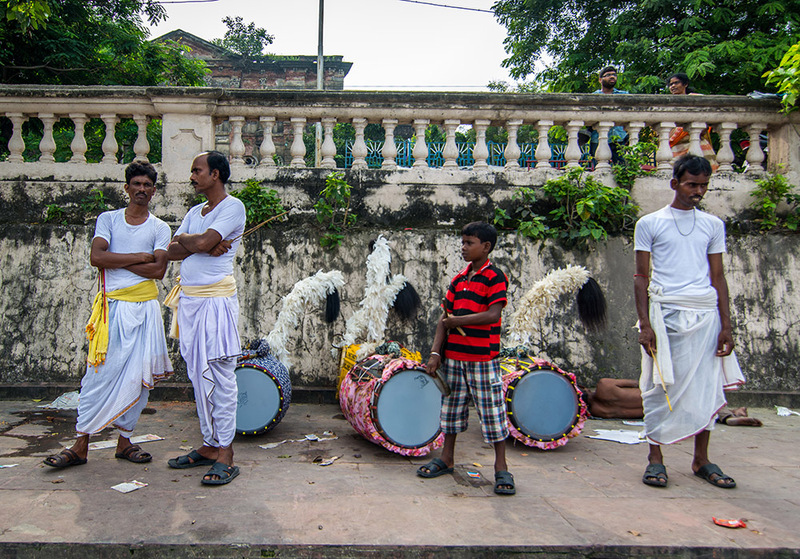 Dhaks appear in the numerous Durga Puja pandals at Patna, Jamshedpur and they also travel to far way places like Hyderabad and Kochi for Durga Puja. 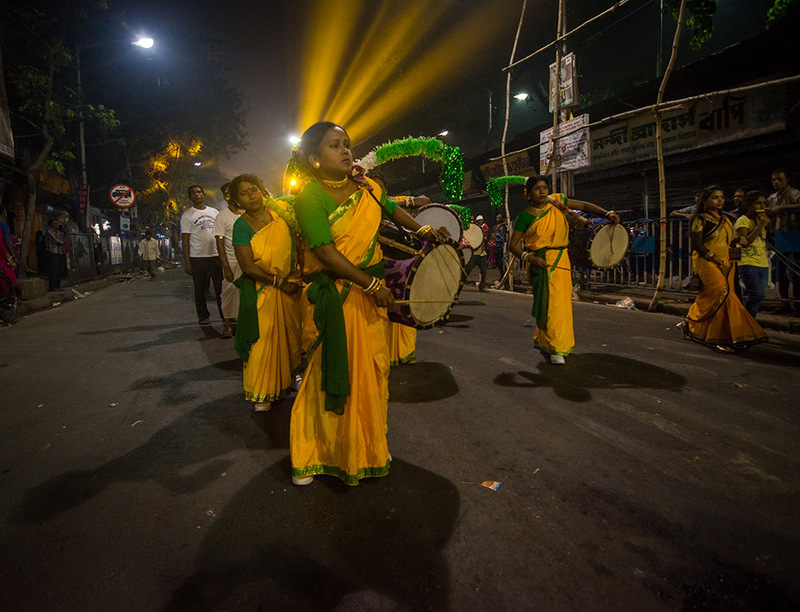 During Durga puja when the whole Kolkata celebrates durga puja the Dhakis beat their dhaks to bring the festive aura among the citizens of Kolkata. The little money they earn by working their heart out during puja season is the only source of income for them .They face many problem from police for travelling with their large dhak in public transports like bus and train.With the modern growth of technology Dhakis are also in the verse of danger as some the puja committees are preferring recorded dhak music as that is cheaper. 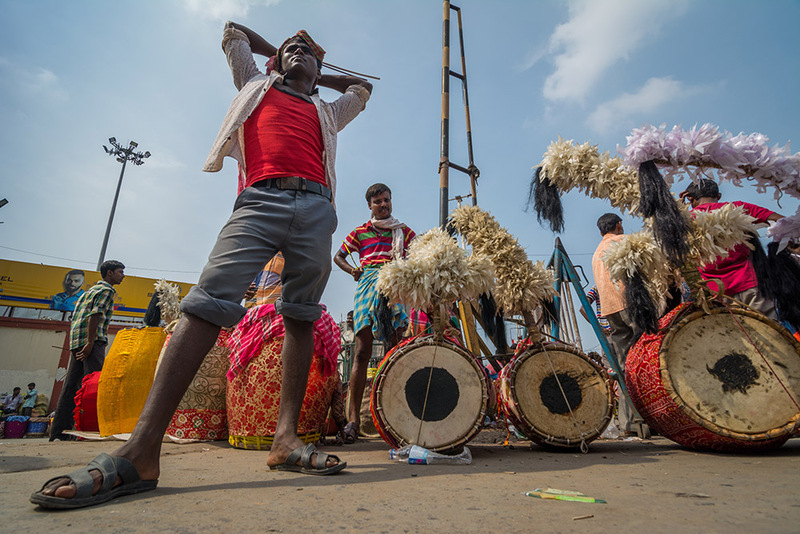 Unlike in South India, where drummers and other traditional artists get ample opportunities throughout the year to perform in temples or other festivals, artists in the east do not have much scope and have to shift to other avenues to earn money once the Puja is over. The lack of opportunities and remuneration has discouraged traditional players, especially the younger ones, from pursuing this art. 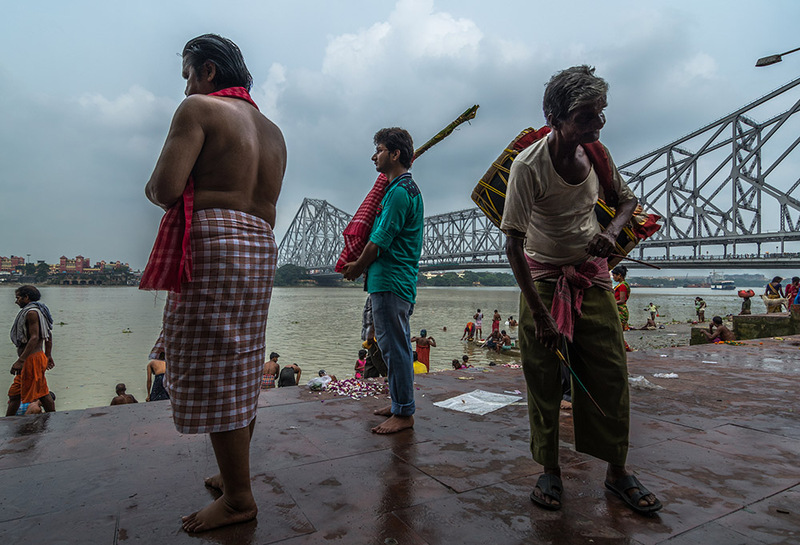 The true festive season for dhakis starts after immersion, once they receive some money after spending the entire festival beating dhak. Without them the greatest festival of Bengal is incomplete. 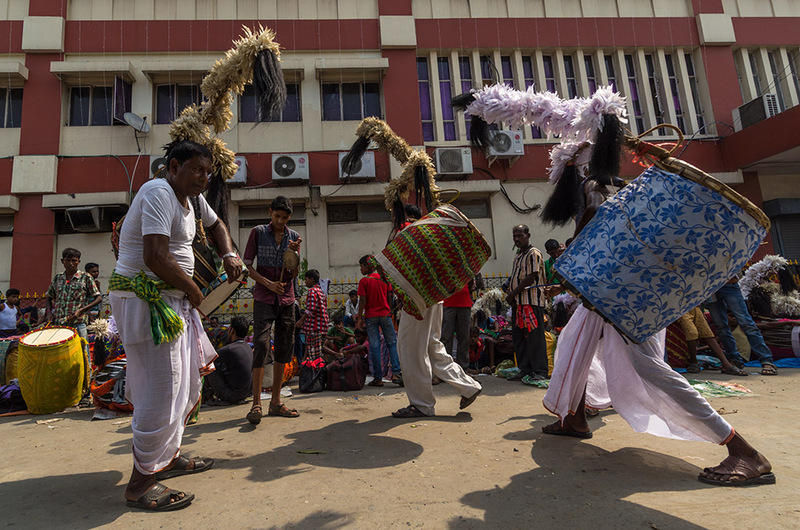 Various puja committees and Government authorities should provide dhakis enough opportunities, so that next generation can pursue this traditional art.